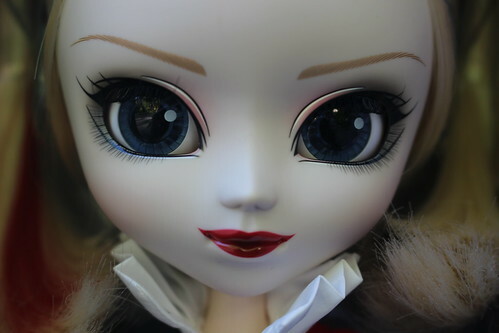 Groove collaborated with DC Comics to release Pullip Harley Quinn Dress Version alongside Pullip Wonder Woman Dress Version as exclusives for San Diego Comic Con 2016. 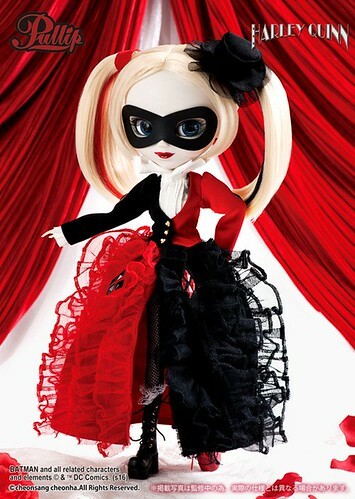 Groove previously released a Pullip based on the character of Harley Quinn as an exclusive to NYCC in 2012 which featured her in traditional jester costume, this new version appears to be an original design. Feel Like So: Love makes me do many things…..I can easily dress up for you, Puddin’! !….Feel Like So. Wig: Blonde with black streaks on one side and red streaks on the other. 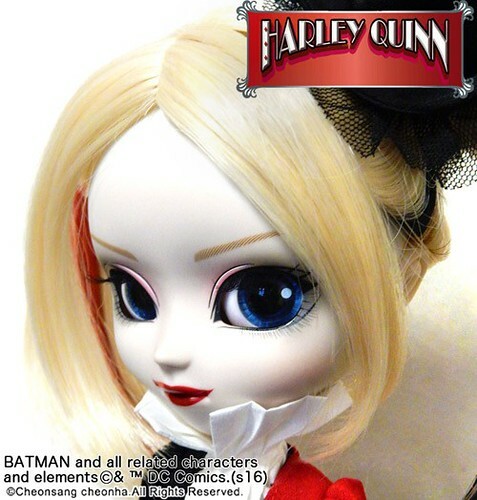 Stock: Harley Quinn Dress Version’s stock consists of a blazer, blouse, wired skirt, fishnet tights, mismatched boots and a mask. 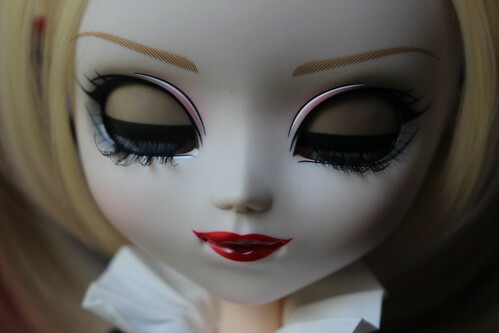 Special Notes: Harley Quinn’s front face plate is extremely white while her back plate/body is Pullip’s normal pale skintone. 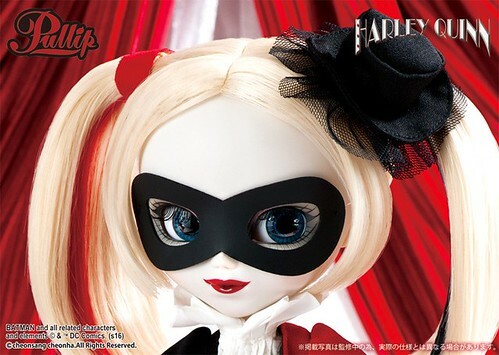 Similar Doll Recommendations: Pullip Harley Quinn, Pullip Batgirl, Pullip Wonder Woman Dress Version, Pullip Wonder Woman and Pullip Catwoman.